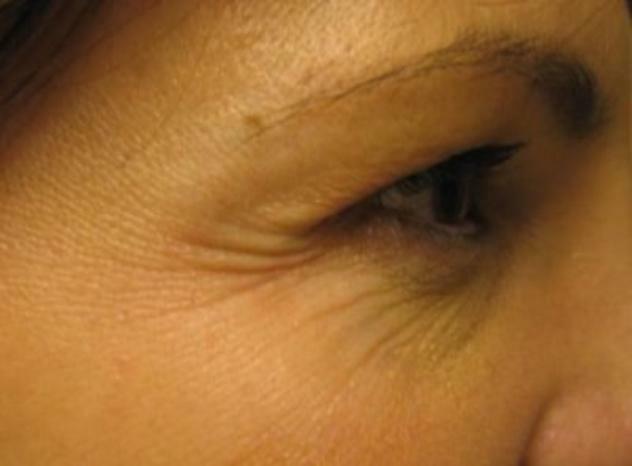 Middle aged female presents with facial wrinkles and aging around eyes. 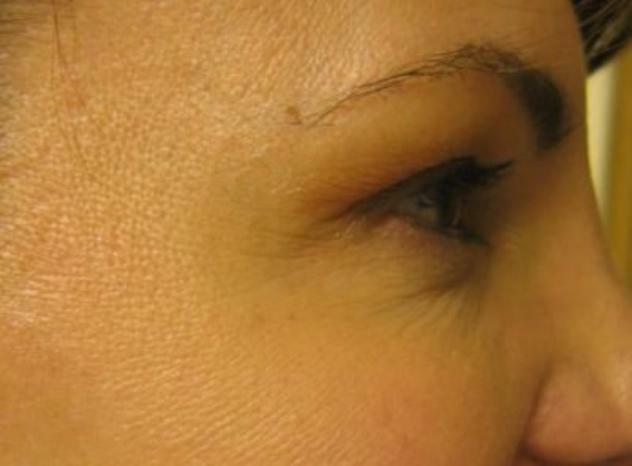 Reccomendations were non-surgical utilizaing Botox to stop the crows feet and dermal filler to fill in the eye region. Microcanula was used for the injections to minimize brusing and discomfort during the procedure.